As an agency, it is obvious that a top priority is lead generation and ultimately growing your business. What isn’t so obvious is how to get those leads. How do you find leads and how do you know if they are a good fit for inbound? Learn how to find new leads and how to filter them to determine if they are a good fit. The first place to look for leads is your existing relationships. Consider former clients that you had a successful relationship with and also other personal relationships. Having a personal connection is the easiest and most efficient way to find leads, and often the most successful as you already have a relationship with the client or potential client. Just like it is easier to generate leads from people you already know, it is also effective to target prospects that are in your area. 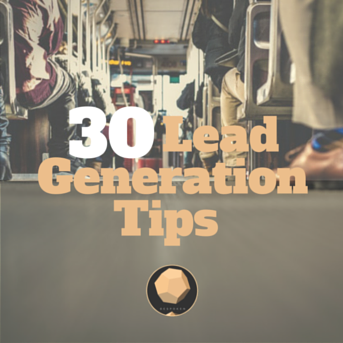 This also adds a personal connection and helps to narrow where you are searching for leads. Think about what industries you are really passionate about and look for leads in these areas. It is generally easier and more enjoyable to do work for clients that you are passionate about and naturally have more knowledge. Target Accounts are ideal accounts whether they are familiar with you or not. These are accounts that fit perfectly with your positioning and would be a perfect client. In order to convert these accounts into leads, think inbound and start with a content offering that leads into a connect call. Now that you’ve found some new leads how do you know if they are any good? A common mistake is taking on any and every client. Business is business right? Wrong. Even though it may seem illogical to turn away someone offering you money, in the long run a bad fit wastes time and money and you’ll have a harder time creating a successful client relationship. When determining if a client is a good fit, there are three main qualities that a client must have. Concept of conversion: Does your client have the goal of converting leads? This should be at the forefront of your client’s mind. After considering primary qualifications, consider other qualities like sale cycle to further narrow down if the prospect would be a good fit. Generating and converting leads is imperative to a successful inbound marketing agency. Make sure to always think about your agency’s positioning statement and services before approving a lead.